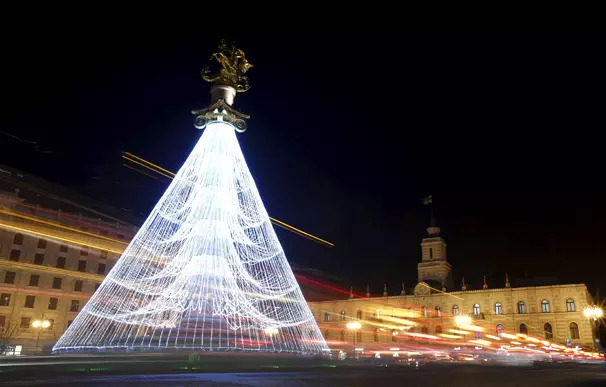 International news agency euronews.com names Tbilisi tree as an unusual Christmas trees in the world. 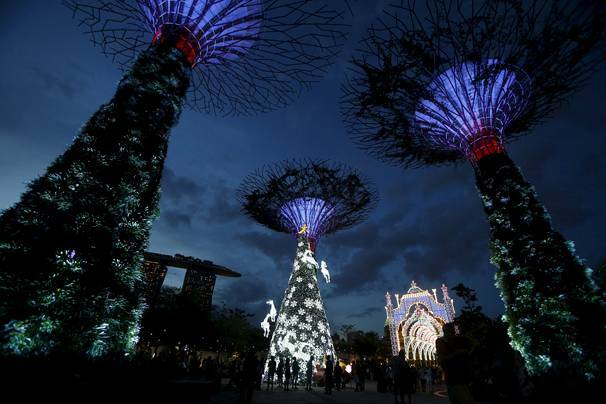 Christmas tree located at Freedom Square is listed among world’s 6 unusual trees. An illumination resembling a Christmas tree set at the monument to St. George at the Freedom Square in the capital of Georgia. The humble Christmas tree has a rich history, from the evergreen trees used to symbolise eternal life in Ancient Egypt to tree worship among pagan Europeans. The modern version has its origins in Germany and alternative incarnations range from recycled rubbish in Mexico City to old window frames in Rakvere, Estonia. At the start of Christmas week, we are publishing a collection of the most creative and festive firs. Whatever the shape or size, the message is the same: Merry Christmas. 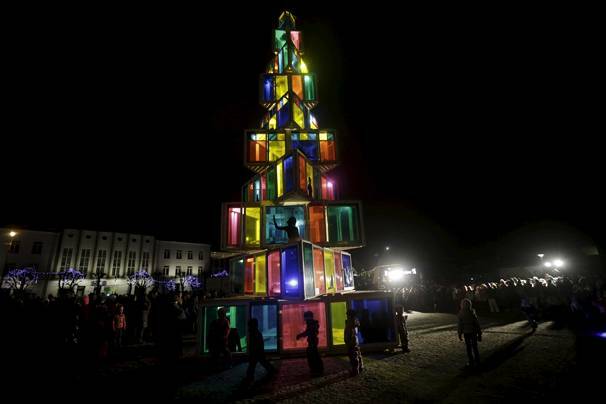 A Christmas tree made of 121 old wooden-framed, coloured windows, put together by local carpentry students, is seen in Rakvere in Estonia. 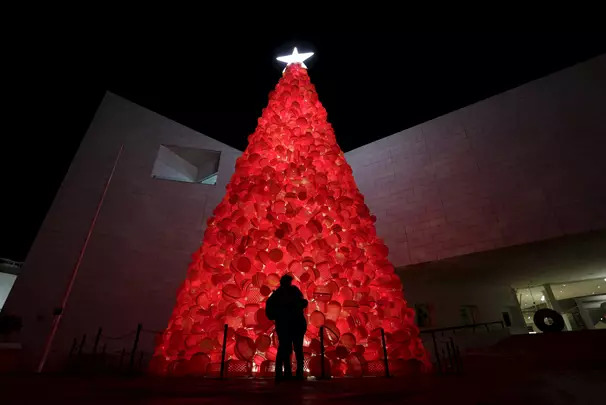 A couple hug while standing near a Christmas tree made out of plastic bins and plastic hampers outside the Museum of History in Monterrey, Mexico. 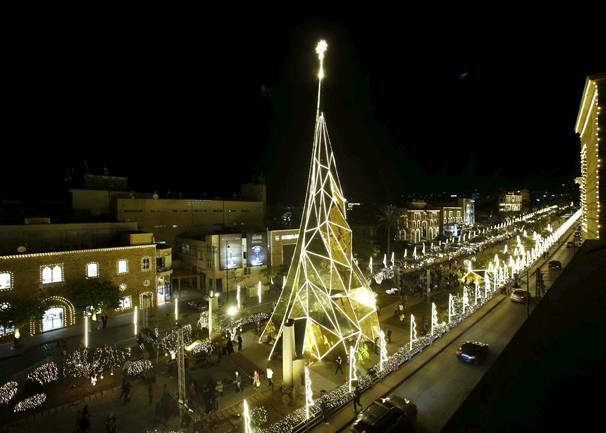 A Christmas tree stands in Byblos, north of Beirut, Lebanon.